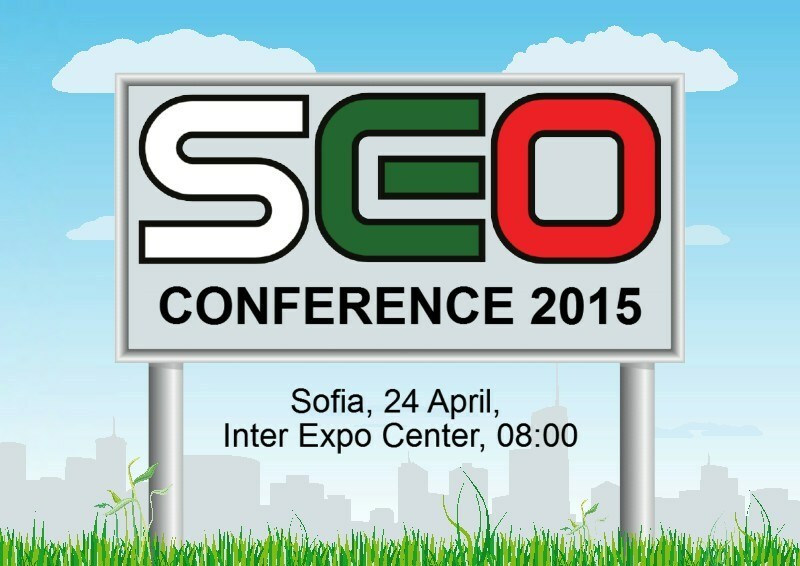 On this event will be over 400 people! There will be many lectors and at least 3 international lectors like David Amerland, Mariya Moeva from Google and more. 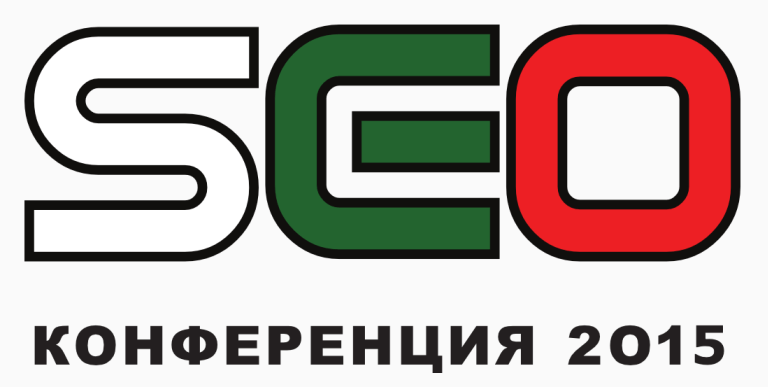 Eduard Dimitrov from our company 3D Web Design will be also lector on conference with lection on topic "SEO copywriting and how to write texts for internet". The lecture will address: Methods of writing text for link building, uniqueness of texts, quality assessment and verification of their uniqueness, tactics for raising the level of uniqueness, duplicate content check. More info about our presentation on site of conference here. 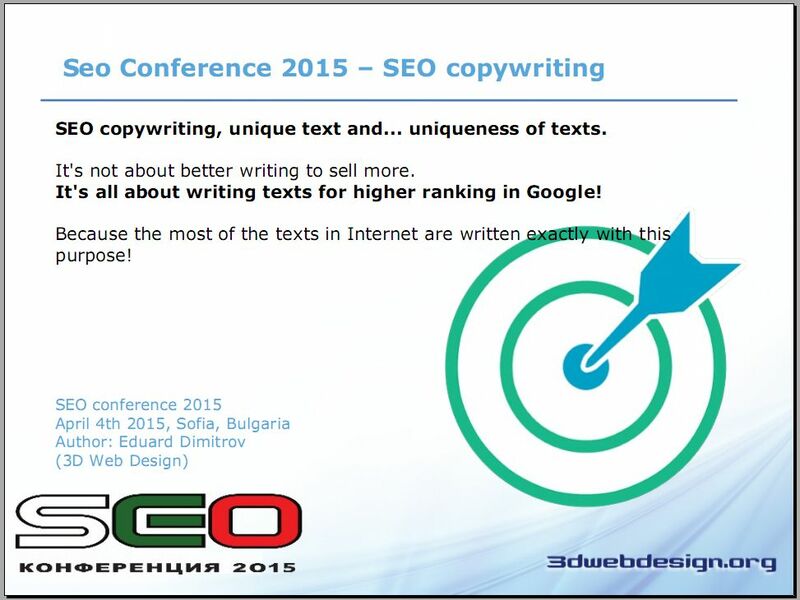 Now you can watch presentation online also on SlideShare here: Seo copywriting 2015 on slideshare.